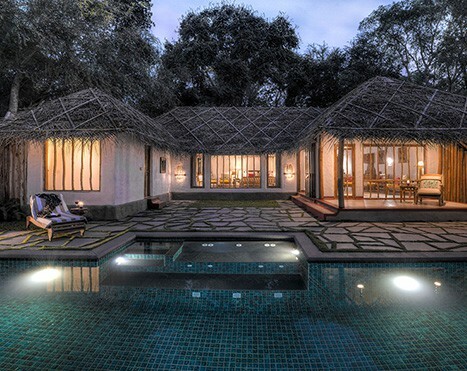 We couldn’t make Kabini more beautiful, so we thought we’d simply make it more exquisite. 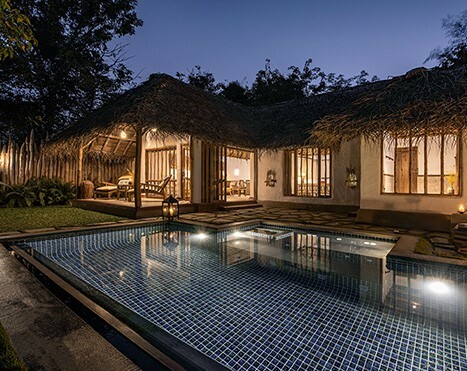 We began with the understanding that the most luxurious things in the world are peace, tranquility and harmony, and that whatever we do should only enhance these pillars of our philosophy.The result is a resort architecture that has a tribal Kadu kuruba leitmotif, where each of the guest huts bespeaks a happy marriage of traditional craft and modern luxury. From the outside, the dwellings subtly incorporate the colours and textures of the landscape in every detail; while within, the sumptuous interiors reflect a warm vernacular sensitivity. From the ethnic furniture to the tribal patterned furnishings, to the little touches like the ‘bottle gourd’ lamp shades, the sum of the parts is a harmonious whole. There is luxury and then there is the Pool Reserve. 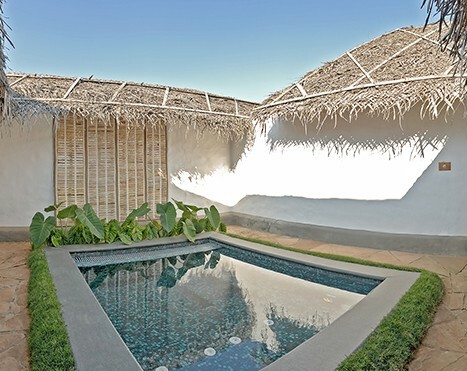 This charming hut has large living and dining spaces, a lavish bedroom, an indulgent bathroom, a personal ozonized and temperature controlled swimming pool.